A five-year-old Maine girl drowned in a swimming pool last month after the adult who was supervising the pool full of children failed to notice that she had made her way to the deep end. One of the other children noticed her at the bottom of the pool and pulled her out before the adults present gave her CPR and called 911. The girl was unresponsive when taken away by ambulance. The incident took place at a private home in Minot, ME. While adults attended a Pampered Chef party indoors, two adults were outdoors, one cooking hamburgers and another watching a slide at the deep end of the pool. There were 8 or 9 children at the pool ranging in age from 5 to 11 or 12. The girl in question could not swim. Crowd-funding sites have been set up by friends of the girl’s parents to pay for medical and funeral expenses. The sheriffs office reports that no charges will be filed. Drowning is the leading cause of death for children 4 and under and the second most prevalent cause for children under 14 years of age (after auto accidents). Even when children do not die due to a drowning accident, prolonged oxygen deprivation (4 or more minutes) can result in serious brain damage for many who survive. The recent tragedy in Minot is, unfortunately, representative of a larger trend in child mortality. 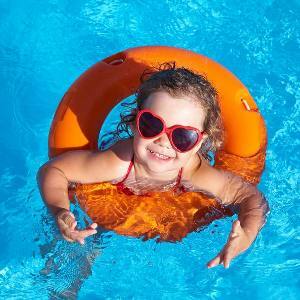 Many factors can contribute to the drowning deaths of children. Children who have not learned to swim, as in this recent case, are obviously at higher risk for drowning. However, environmental factors can also play a role and inadequate supervision of children is often involved. In some cases, these factors are reason to file a personal injury lawsuit when a serious injury has occurred. Lawsuits involving the drowning deaths of children in swimming pools fall under the broad category of premises liability, in which the owner of the pool has, to differing degrees, a “duty of care” to those who swim there. A pool owner is also not liable for such obvious hazards as wet and slippery tiles surrounding the pool. However, if features of the pool pose a drowning hazard that are not obvious and the owner did nothing about it, they may be considered negligent if a child is injured or killed as a result. There are also cases when children drown because lifeguards on duty were clearly not paying attention; in this case, managers of the pool may be liable for their employees negligent behavior as well. Maine premises liability lawyers will be able to help you determine if negligence was a factor if your child has been injured in such an accident. Hardy, Wolf, & Downing represent parents of children who have been injured in drowning or swimming pool accidents. Because liability issues are not always straightforward in these incidents, we urge such parents to set up a no-cost, no-obligation consultation with one of our attorneys in order to determine whether negligence was a factor in the drowning death or injury of your child. Please call 800-992-7333 to set up an appointment with a Maine accident attorney from our law firm.